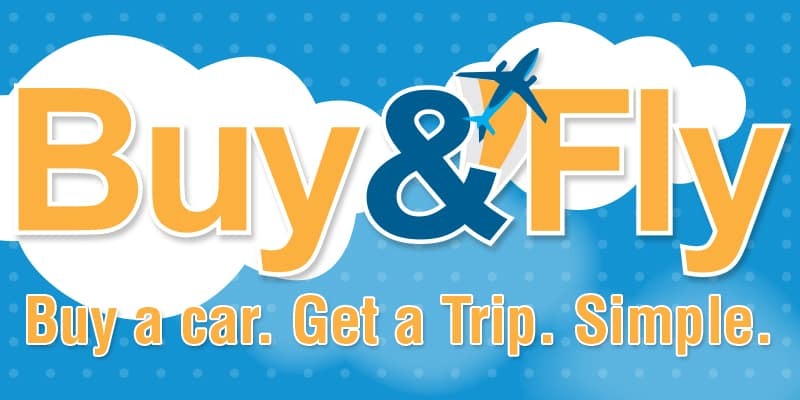 Buy or Lease, new or pre-owned and fly away to one of over 22 destinations. Your Choice and on Your Schedule – including round-trip airfare and hotel accommodations for 2. Keep more jingle in your pocket with end-of-the-year savings plus get a trip on us. Now that’s a deal with all the trimmings!